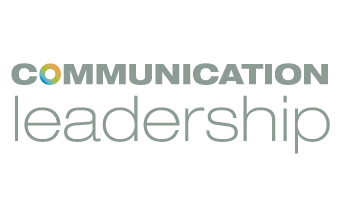 Executive education inspired by the University of Washington’s world-renowned Master of Communication in Digital Media. This intense bootcamp-like curriculum is offered through highly interactive lectures and hands-on workshops. It’s TED meets graduate school; a mind-shift for entrepreneurially focused professionals now looking to media as a point of innovation, connection, and creation. Ideal for leaders seeking to transform their organizations through the power of storytelling and digital content. It’s as much intended to educate as it is to motivate — a mind shift for entrepreneurially-minded leaders who seek to innovate, create, and communicate as change agents within their own organizations and communities. The curriculum is designed by the MCDM leadership, and taught by accomplished faculty and known industry leaders. The digital media revolution is profoundly changing the way we communicate. Understand the key communication and social changes facilitated by digital media through networks, along with their opportunities and risks. Apply the practice of creating powerful narrative through storytelling as a primary method of influence and persuasion in communication. Identify, describe, and apply concepts of social influence and persuasion, along with their legal implications and return on investment. This is a great opportunity for individuals new to the digital media world, those well versed and looking for the latest breakthroughs, and those that attended the June session – as this program will introduce fresh content. $525 includes all working materials, post session source deck, food + beverages and networking happy hour. This event has limited space, we pride ourselves on an intimate classroom experience, register today before space is gone! Did you know that you can create professional quality content with the most compact, consumer grade of tools?. Rummage through award-winning fimmaker’s Scott Macklin’s bag and learn about the power of the cellphone camera and digital SLR during this fun, informative breakfast session. The connectivity revolution created by the internet and mobile devices is changing the way humans interact, the way our professions and industries are organized, and the political face of the planet. Now every organization is a media organization, every market is a media market, every manager is a media manager, and every experience is a mediated experience. The struggle to be heard is fierce, but being heard is not enough. Successful communication depends on the creation of compelling content and sustained multi-platform engagement by distributing this content through relevant networks. The “screen” that everyone’s foused on right now is the one that fits in your pocket. What you need to know about mobile now, and how to engage users through this unique, ubiquitous device that’s changing the world by the minute. Increasingly, communication is about how to incentivize change through compelling content and design. To that end, there’s much to be learned from the highly relevant field of behavioral economics. How do you encourage positive change? What actionable design strategies do you need to conceive? Legal issues are pervasive in the use and implementation of all types of digital media — and they’re changing by the day. Copyright owners consistently struggle with how to monetize content without alienating end users, bloggers confront the parameters and limits of free expression, and consumers are more and more sensitized as to how companies will make use of their personal information. This seminar will focus specifically on the legal issues surrounding content production and distribution. PC’s, smartphones, tablets, television — we engage on every screen and on “anyscreen” now. This has compelled the advertising world to embrace and experiment with digital media platforms in real time. Digital media can also enhance traditional channels of distribution (clicks and bricks), as well as R & D functions by encouraging and mining information from current and potential customers. Here’s what’s happening in communication, marketing, public relations right now. Why you must change if you’re going to remain relevant to your clients, to the industry. What do you need to know about storytelling? Why storytelling is so crucial to connecting with persuasion and trust to “the people formerly known as the audience.” Exercise: Creating a story “mission statement” for your company or client; capture it digitally. Share and group feedback. You cannot control what you cannot measure. This seminar will emphasize the theory behind why you measure, combined with select exposure to practical tools for how to measure so that you canlearn from customer behavior and feedback and optimize your digital communication to drive the ROI for your business. In this seminar you will learn about the importance of tracking and understanding customer behavior in various online channels such as search, social media and your own site. LUNCH: Keynote on leadership — Anita Verna Crofts Leadership skills are not just traits you are born with, but competencies you learn and refine throughout your life. Today, with office structures flattening and transparency at a premium, authentic leadership is critical for success in the digital age. Whether it is crowdsourced decision-making, the arrival of the Millennial Generation as customers and colleagues, or the wider reach of personal narrative in the age of new media, the challenges and opportunities that leaders face are evolving as quickly as the technology itself. Leadership skills are not just traits you are born with, but competencies you learn and refine throughout your life. Today, with office structures flattening and transparency at a premium, authentic leadership is critical for success in the digital age. Whether it is crowdsourced decision-making, the arrival of the Millennial Generation as customers and colleagues, or the wider reach of personal narrative in the age of new media, the challenges and opportunities that leaders face are evolving as quickly as the technology itself.